Our Client Bayer is looking for energetic marketing professionals who will work as ‘Marketing Development Officer’ and who will be the liaison between Bayer and its current and potential trade channels (shops). The successful candidates will be able to train Agro dealers on Monsanto products. The right candidates will be able to build relationships with Monsanto DEKALB trade partners, manage a group of shops during the season, be willing to operate within assigned region and work in a high-pressure environment where customer service will be at the Centre of all activities. Bayer Zambia, invites applications from suitably qualified and experienced Zambians to fill the role of Marketing Development Officer. The Marketing Development Officer will be responsible for facilitating, monitoring and increasing sales within a specified area around the Sales & Service Centre through various sales channels. This position falls under a fixed term contract, with the opportunity of longer term extension based on performance and organizational need. Provide these traders with draft contracts, and ensure proper signing of these contracts. Order management and facilitation – Liaise with Bayer Sales Representative to collect orders from assigned outlets and ensure no stock outs during the season. Candidates must be hardworking, dedicated, outgoing and able to explain any simple or complex concepts to shop owners, shop assistants and farmers. Submit a channel inventory tracker for all outlets in their care every Monday by 10:00 am latest. Receive consistent “good” or “excellent” scores through the feedback mechanisms from the trained Agro dealers / Sales Representatives. 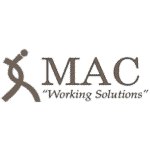 Address: Mac Staffing Solutions HR Department, Head Office, 1 Ingwe Road, Woodlands, Lusaka.